At a time when banks are struggling to get funds from the government for lending and 11 banks are under the prompt corrective action (PCA) restriction list, S Gurumurthy, independent board member of the RBI, has mooted recapitalisation through government bonds. Delivering a lecture on ‘State of the Economy: India and the World’ at the Vivekananda International Foundation (VIF) here, Gurumurthy, an economic and political analyst, batted for easier lending and capital restrictions for banks and more cash for small businesses, issues on which RBI and the finance ministry have locked horns. He also supported the government stand on Basel III norms adoption, another bone of contention between government and RBI. “The way for the government to increase capital adequacy in state-run banks under Basel III regulations is to increase equity capital on one hand and sell sovereign bonds to lenders on the other,” he said. The move (recap through bonds) won’t need actual cash infusion but only an accounting entry in banks, a process that has been used before as well by the government to increase capital adequacy ratios in banks, he added. Gurumurthy also questioned the need for India’s higher capital adequacy ratio. “If globally the capital adequacy ratio under Basel is less, then why is it 9 per cent in India?” he asked. For weeks, the government has been pressurising the central bank to accede to a range of demands, prompting RBI deputy governor Viral Acharya to remark that undermining RBI’s independence could be “catastrophic” bringing their feud into the open. Gurumurthy also said imposition of tight provisioning norms for bad loans in one go created problems for the banking system. He also nudged the government to go for the power to print currencies, which is a domain of RBI. “The government gave up the right to print the rupee in 2002. The liquidity problem could have been handled if power to print currency was in the government’s hand,” said the RBI board member. However, the government and the RBI are now getting close to ironing out some of their policy differences ahead of the Monday board meeting. 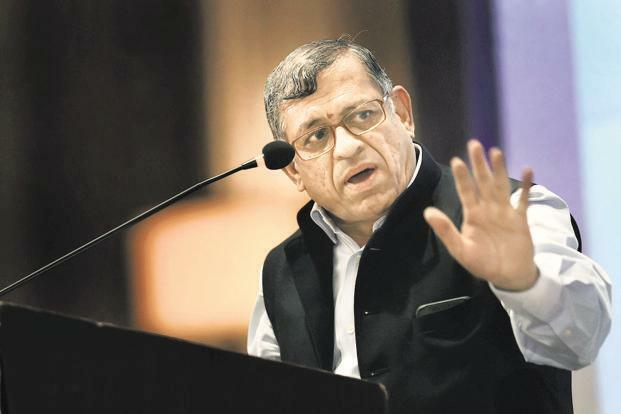 Gurumurthy, who has close links with the Rashtriya Swayamsevak Sangh (RSS), has also called for tough import curbs to contain current account deficit. Ahead of the RBI board meeting and the ongoing rift between the finance ministry and the central bank over several issues, including capital framework and easing of lending norms for NBFCs, Gurumurthy said, “the stand-off was not a happy situation”.